Welcome To The Highly Sought-After Bliss Condominiums Conveniently Located In Liberty Village! This Rarely Offered One Bedroom Plus Den Suite Offers A Functional Floor Plan And Plenty Of Natural Light With Wall To Wall Windows. 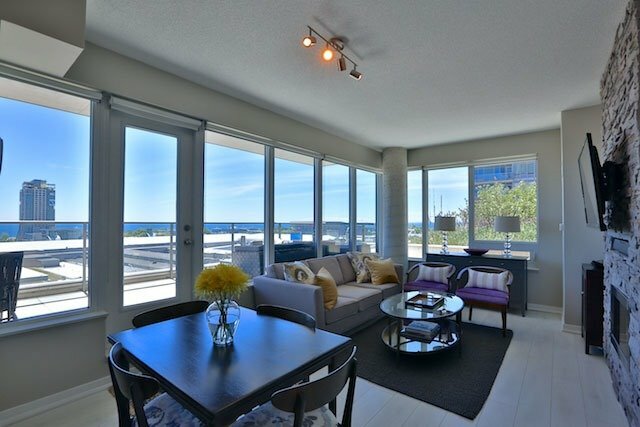 Spacious Private Terrace Offers Breathtaking Unobstructed South Views Of Lake Ontario - Perfect For Summer Entertaining! Upgraded Floors Throughout. Stone Fireplace In Living. Custom Closest Organizers In Master & Wardrobes In Den.